We worked with one of the key architecture firms based out of Canada. The client, with an astounding repertoire and experience of over 20+ years, is dominant in the industry, and is an expert in drafting and designing large buildings and public undertakings. In recent times, the client was facing a continual increase in workload, and hence considered the idea of outsourcing. The key requirement therefore, was for a capable outsourcing agency which could efficiently deal with the surge in workload in a cost-effective manner. Upon choosing our services, the customer required us to handle all excess drafting requirements, thereby increasing the overall throughput. Our highly experienced drafting team analyzed the client's requirements, and after a lot of brainstorming decided to form a team comprising of two experienced drafters to manage the project. Another drafter was kept as a standby to handle any unexpected increase in workload. The team ensured that a thorough quality check was maintained throughout the entire process, with regular, multi-point inspection of all completed drawings. A specially appointed CAD manager further scrutinized all completed drawings as part of the final quality inspection, before the drawings were sent to the client. At Outsource2india, our main objective is to provide high-quality, detailed architectural drafting and detailing services to our global clients, allowing their in-house designers to concentrate on other core creative work. Not only do we reduce your designers' workload, but ensure our services fit within the time and money constraints which govern your firm's profitability. 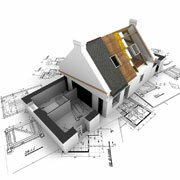 Contact us now for an economical solution to all your architectural drafting needs.